The Florida panther is the most endangered cat in North America. With only 100 – 160 cats in the wild, the panther most likely would not exist without the Endangered Species Act. The only known breeding population of panthers is in south Florida, although its historic range covered the entire southeastern United States. 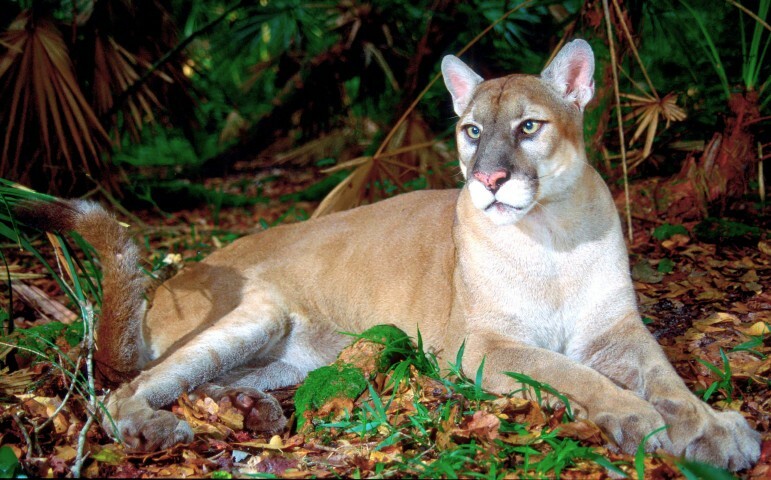 The Florida panther is a subspecies of puma which goes by many names; mountain lion, cougar, painter, American lion. They don’t use Everglades habitat or Everglades National Park to much extent and are centered in Big Cypress National Preserve, the Florida Panther National Wildlife Refuge, and other public and private lands in southwest Florida. Eight female Texas cougars were brought into the genetically at-risk panther population in 1995 to reinvigorate the gene pool and reduce congenital abnormalities. This action under the Endangered Species Act was the real turning point in preventing the extinction of these amazing cats and building their population size from 50-70 panthers to 100-160 today.